This birch is quite like the silver birch, but extends far further north. It is the only substantial deciduous tree in Iceland and Greenland and also extends across Europe into Asia. It is more tolerant of waterlogged soils than the silver birch and is much commoner than the latter in Ireland. 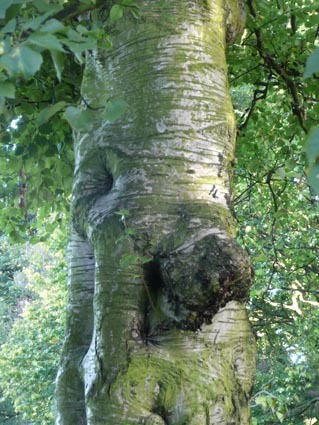 The first woodlands to spread across Ireland after the last ice age were birch woods. Where the two trees grow together their shape is distinctive. In Belfast Botanic Gardens, the two species grow either side of the path close to the park works entrance (near the bird feeders). The Silver birch branches are much more weeping than the downy birch. 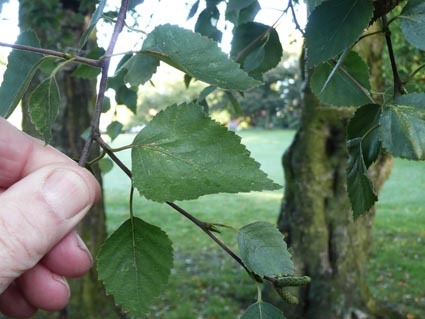 The leaf shape is also slightly different as illustrated on our silver birch page. The species are cytologically different as the silver birch is diploid and the downy birch is tetraploid. 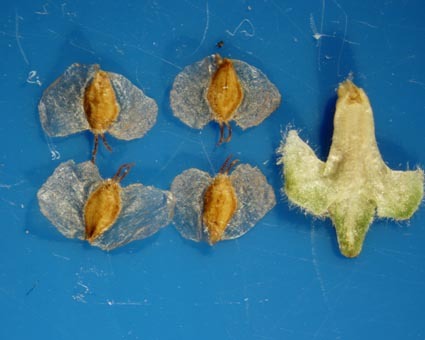 The seeds have papery wings and both the seeds and the distinctive shaped seed-scales are found in lakes and bogs dating from the earliest post-glacial forests in Ireland. 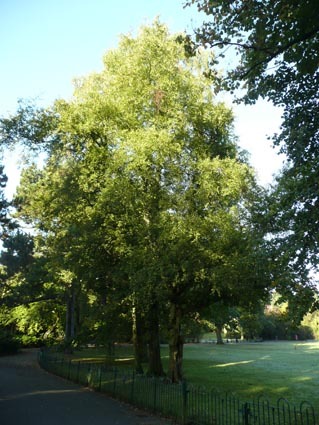 There are a number of downy birches in the Belfast Botanic Gardens - the tag and reference above refer to a group of three at the south end of the main lawn. Bark of downy birch Seeds and a seed scale of downy birch. reference (1): The Trees of Britain and Northern Europe by Alan Mitchell and John Wilkinson. Collins, London 1991.